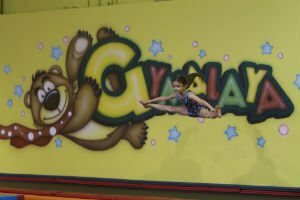 Questions about How to Own Gymalaya Franchise Great Opportunity in Children's Fitness! We are currently focusing primarily on the Greater Toronto Area and Southern Ontario. However, if you want to know more about any other communities, please contact us and we will be happy to discuss your preferred market. What does a Gymalaya facility look like? Gymalaya facilities are approximately 5,000 – 6,000 square feet. They are bright and colourful and full of unique equipment designed specifically for young children. 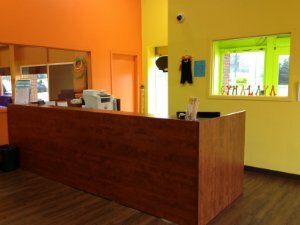 If you have not had a chance to visit one of our locations, please let us know and we would be happy to make arrangements to give you a personal tour. How much money do I need to open a Gymalaya Centre? It will take approximately $250,000 – $375,000 to open a Gymalaya centre. This amount will depend heavily on where you plan to open the business, building type, leasehold improvements needed etc. You should invest at least $100,000 of your own capital. The balance can be financed through a Small Business Loan‎. The franchise fee is $30,000 which is included in the total investment. 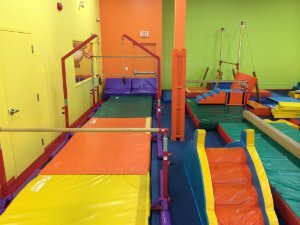 Do I need a backaround in Gymnastics? 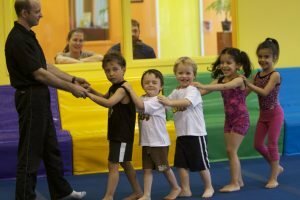 A background in gymnastics is not required, however, a sports/fitness/recreational/teaching background is helpful. You must have a full commitment to Gymalaya and posses excellent communication and interpersonal skills. You also need a passion for working with children and have a fun and outgoing personality.